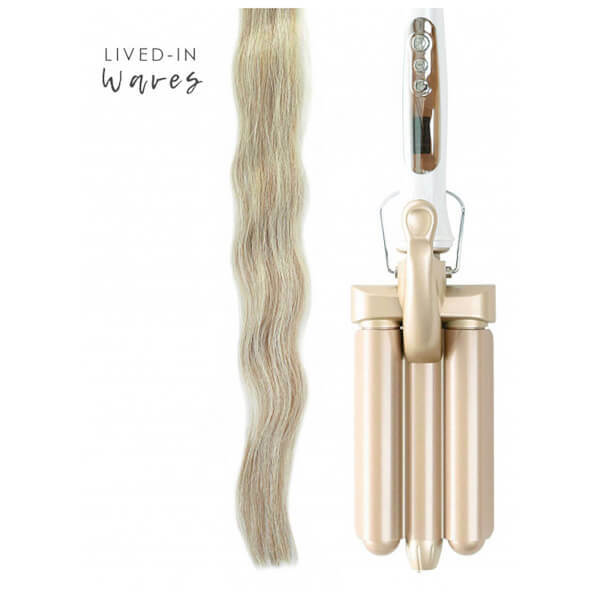 Achieve touchably tousled tresses with the Beauty Works Waver, a three barrel hair waver that creates mermaid-inspired waves. 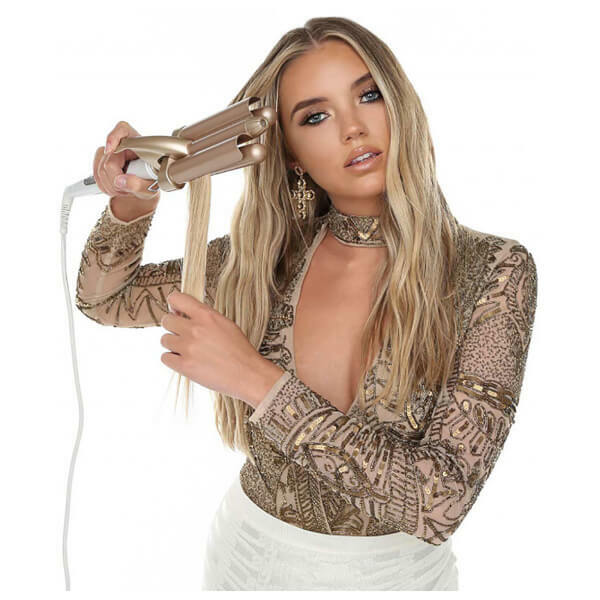 The triple barrel design creates S-shaped, beachy waves on all hair lengths, and reaches temperature in 60 seconds for quick and easy styling. 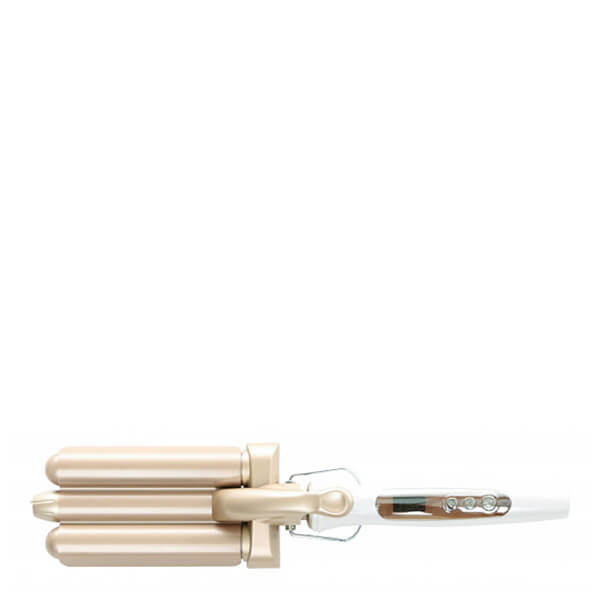 The ceramic-coated barrels seal the cuticle to prevent frizz and inspire mirror-like shine. 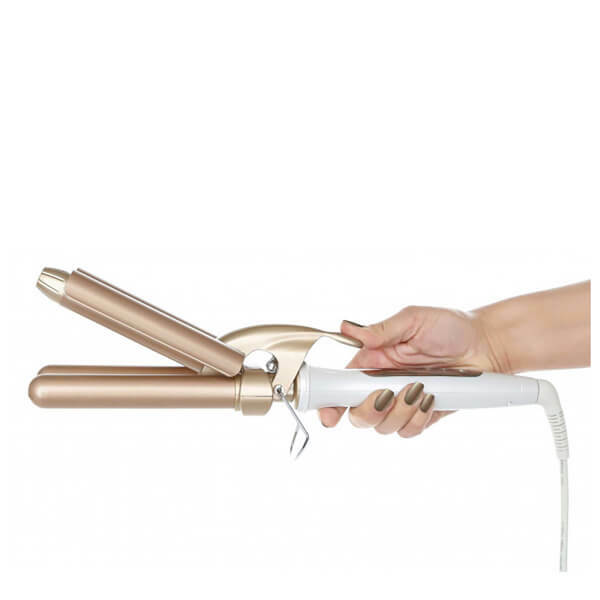 Programmed with an adjustable temperature of 80-220°C to suit your hair type. Complete with a heat-resistant carry case. 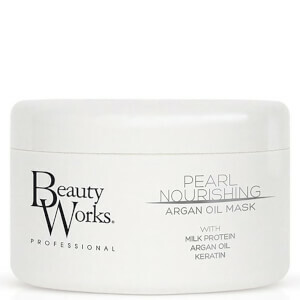 Expect glamorous, beach-bound tresses. Before you start, make sure you use a heat protection spray, spritz throughout your mane. 1. Taking small sections of the hair at a time, clamp the tool near the root (you can decide how high up you want the curl to start). 2. 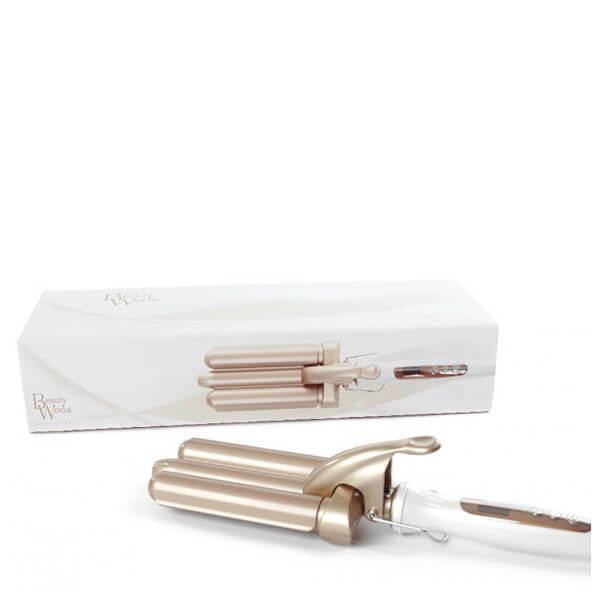 Hold for up to 10 seconds depending on how defined you want the curl to be, then release. 3. Move the tool further down the same section and clamp again until it’s all waved. (For a more modern, casual vibe, leave the ends straight). 4. Continue this process on your entire head, until you have a wavy, tousled texture. 5. 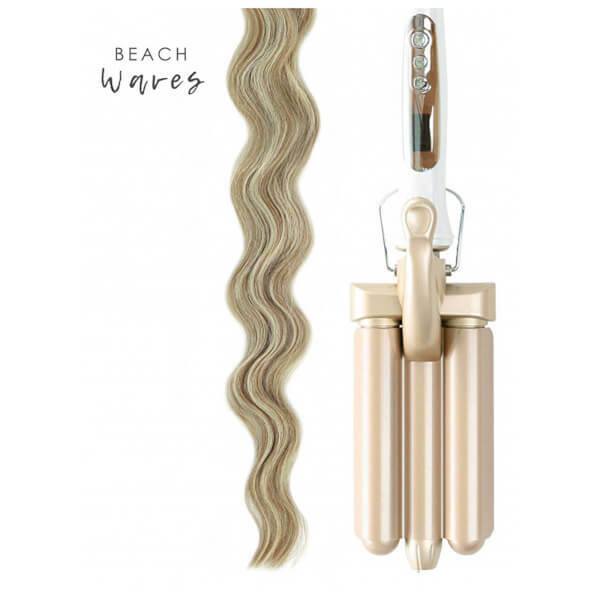 Once you have curled all of your tresses, it’s time to give them that undone, beachy vibe! So grab a wide-tooth comb and comb through your strands to loosen them. 6. Finish with a texturising spray for a mermaid finish.